I have experience with a broad range of boiler brands and models and heating systems. I understand how disruptive the loss of heating and hot water can be and I will always try to reduce the disruption caused by a broken or faulty appliance, or damaged heating system. I pledge to diagnose and remedy the problem as quickly as possible. 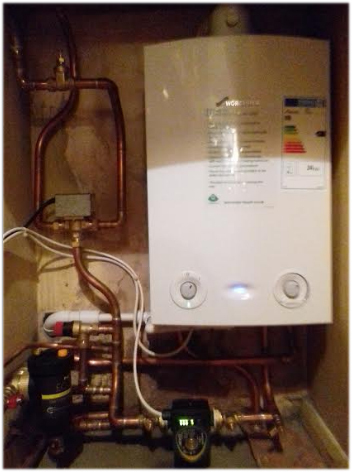 If your existing boiler has come to the end of it's life, or you are remodelling your home, you may be looking to replace your existing boiler or install a new one. Steve Hobson can help. I supply and install well know brands of modern combination boilers and associated gas/water appliances. Prior to any installation we'll provide a full assessment to establish the right boiler for your individual requirements. I will discuss with you the labour time required to install the boiler and the cost of any additional work required. which will save you money year after year? To prevent boiler breakdown I can give your boiler an annual service to ensure your heating system is always working at its best. Please Contact Us for full details on prices and what is included.